The increasing militarization of police departments and police officers across the United States has been an intensely debated topic over the past few years with proponents arguing it protects both officers and communities while critics argue it merely alienates the officers from the communities that they are intended to be serving. A new study done by researchers at Princeton suggests that the militarization of police departments may indeed create further rifts between officers and community members and that it may not even reduce crime levels. The new study, recently published in the Proceedings of the National Academies of Science, finds that while many police departments view the utilization of SWAT teams and similarly militarized police units as a strategy that helps ensure the safety of the public, it neither adds to public perceptions of safety nor does it meaningfully reduce levels of crime. More than that, the study implies that when members of the public view militarized police officers, they lose trust/support for the police. 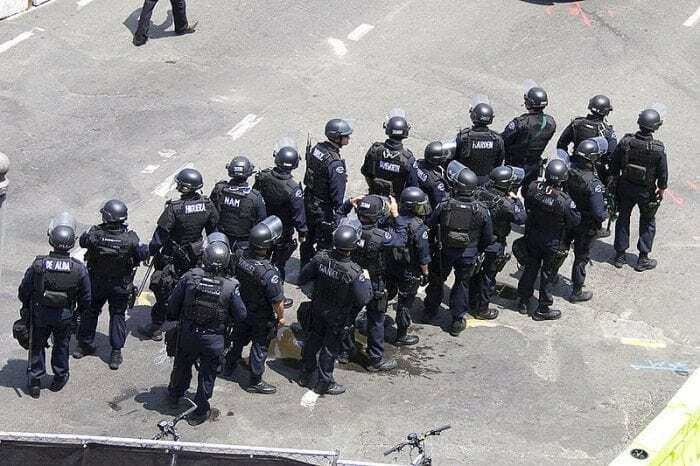 The researchers used a number of different methods to assess the effects of police militarization on both public safety and public perception. One of the research tools available to the researchers was a large database that tracked the presence of SWAT teams across the nation, as well as a database that logged details about every deployment of SWAT teams throughout the state of Maryland over five years (approximately 8200). 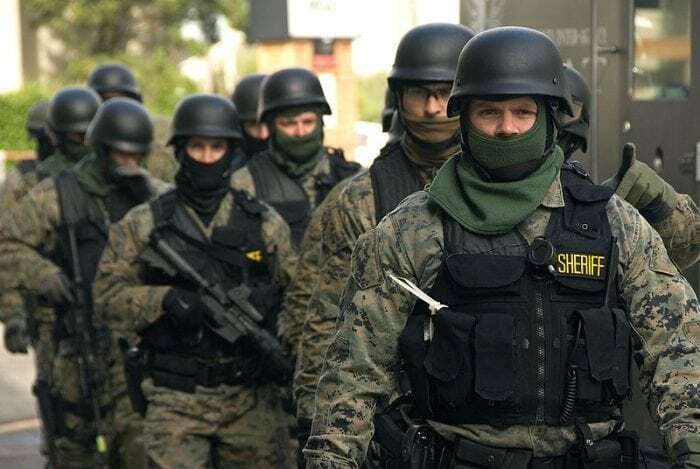 Jonathan Mummolo, head researcher on the project and assistant professor of public affairs and politics at Princeton, explains that the use of SWAT teams is one of the main ways that police departments are militarizing. Mummolo says that SWAT teams frequently have superior combat training and that this fact “represents a heightened commitment to the use of militarized equipment and tactics.” While SWAT teams were initially created to handle situations involving armed assailants or hostage situations, criminologists report that SWAT teams are increasingly being used in normal police activity like drug busts and even simple patrols in high crime areas. While SWAT teams are theoretically meant for deployment in emergency scenarios that regular police officers are not trained to handle, the data collected indicates that most deployments of SWAT teams happen in non-emergency scenarios. SWAT teams are predominantly used to serve warrants according to Mummolo, who also explains that SWAT teams are more frequently deployed in areas that have a higher African American population, even when local crime rates are controlled for. The state of Maryland deployed SWAT teams around 8200 times over the course of five years and only 5% of these deployments involved the usage of barricades, which are typically used when an armed suspect is involved. Some 92% of the deployments were used to serve warrants. For every 10% increase in the number of African-American citizens in a particular region of a city, there was a 10% increase in SWAT mobilization per 100,000 people. Mummolo explains that an analysis of the data implies that there’s little to no evidence that using a SWAT team is effective at either keeping officers safe or reducing crime rates. According to Mummolo the increased deployment of SWAT teams has an “either small or nonexistent” benefit. An analysis of crime rates handled by the between 9000 to 15000 law agencies that utilized SWAT units between 2000 to 2008 found no significant impact on the safety of police officers within those regions. Yet while there’s little benefit to the militarization of police departments, the study does suggest that the decision to equip police departments with military-style gear does come at a cost. Mummolo ran two studies that tracked the attitude of Americans towards the police. One study was conducted by Survey Sampling International and surveyed 4465 people, while another study, done online, sampled the opinions of 1566 people. The participants of the study were asked to read a (made up) news article where a police chief made the argument that the department needed a larger budget to ensure community safety. The faux report came along with one of four different images, all of which showed officers “standing guard during a local protest.” What was different about the images was the degrees of militarization that the officers in the photo were exposed to. In one image, for instance, there were a few police officers dressed in regular officer uniforms. A second image had officers standing there in riot gear next to an armored vehicle. Respondents to the study then rated their confidence in the police force and their support for increases in police spending. Amongst those who took the survey, those who saw the images of more militarized police officers also reported less desire for more police patrols than those who saw images of the regular officers. Those who saw the militarized officers had a 3.2 point drop in desire for more patrols of their neighborhood. 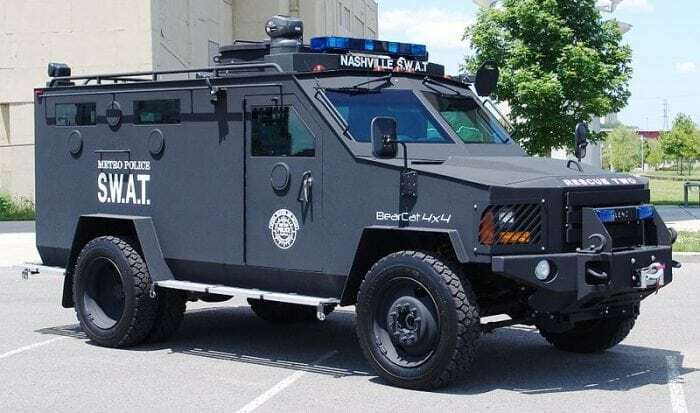 The data could mean that those who see heavily militarized police forces assume that a department that can afford such equipment doesn’t need more funding from taxpayers. Furthermore, the more militarized a unit is the less that people approve of patrols of their neighborhood.